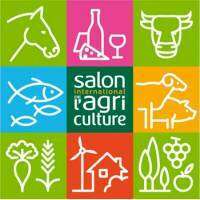 the International Exhibition of Agriculture and agribusiness sectors. For half a century, the International Exhibition of Agriculture each year brings together all players in the agricultural world. It is the reference in its sector, not only in France but also abroad. Farmers, producers, regions, organizations and professional associations, government departments and agencies or research institutes: each contributes to present the different facets of the industry, its businesses, its evolution and its prospects. "J'aimerais participer à cet événement je suis agent commercial dans un gic agopastoral ici au cameroun envoyer moi une lettre d'invitation dans ma boîte émail afin d'obtenir mon vi"